I was just surfing the nett when I came across Snickerdoodles! With a name like that I had to find out more. 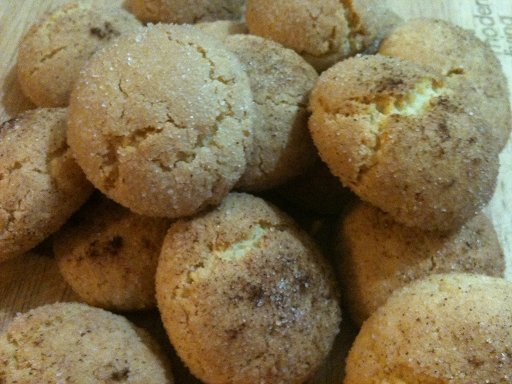 Snickerdoodles are also known as Cinnamon Sugar Cookies and have been around since the late 1800s. Their origin is un-known but they probably originated in New England and have either German or Dutch descent. Where the name comes from is anyone's guess. There is no milk in these just lots of sugar and margarine. They are really light and easy on the stomach. Combine the margarine, sugar, and egg in a mixing bowl and mix well. Combine the sifted flour, cream of tartar, bicarb of soda. Add flour mixture to the maragrine mixture and mix well. Shape the dough into 2 cm balls or larger if you choose. Combine the 1/2 teaspoon of sugar and cinnamon and roll the balls in the cinnamon sugar. Arrange the balls a few centimetres apart on a lined biscuit tray. Bake for 10 to 15 minutes or until light brown. Margarine - I used an olive oil based margarine just for something different. 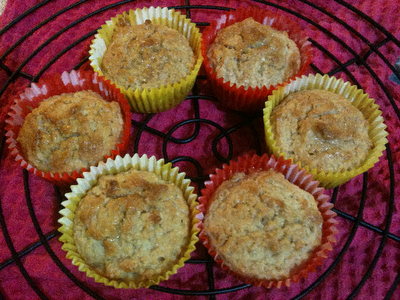 I had a little bit of peanut butter left over and wanted to make something with it so a little search found this healthy Peanut Butter Muffin recipe. In a large bowl combine flour, sugar, baking powder and salt. Add peanut butter and 2 tablespoons milk free margarine and with your fingertips work it until mixture resembles breadcrumbs. Beat the eggs and milk then stir into dry ingredients until just combined. Fill paper-lined muffin tin two thirds full. Heat oven to 200 degrees and bake for 15-20 minutes or until muffins done. Melt remaining margarine and brush over muffins then sprinkle with cinnamon sugar. Always best eaten fresh out of the oven otherwise place on wire rack until cooled. 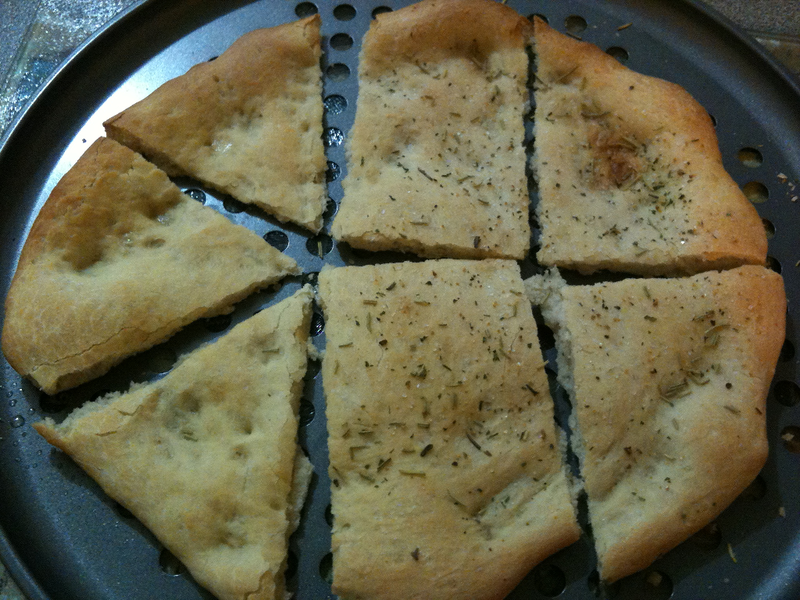 This focaccia bread recipe is my favourite as most make a thick dough which gives me a stomach ache but this focaccia bread recipe produces a thin pizza like crust that is juicy and delicious. The reason it gives a pizza like dough is because it is a recipe for pizza dough which I got from one of my favourite cook books A little Bit of This, a Little Bit of That from the winner of Junior Masterchef Isabella Bliss and her family. The recipe has been passed down through generations is easy to make and tastes great too. The one I made above is seasoned on one half as I wanted to keep some plain to eat my delicious Cauliflower and Zucchini Soup with. Place the water and yeast into a large bowl and stir with your fingers until the yeast dissolves and the water looks milky. Add the sugar, salt and flour to yeast mixture and mix until a soft dough forms. Use extra flour if required. Place dough onto a flat surface and knead for 5-7 minutes until it is soft and smooth. Place the dough into a lightly greased bowl, cover with cling wrap and a clean towel. To get dough to rise faster heat oven and place bowl on stove top. Leave to rise for about 1 hr. If placing on warm stove dough will rise in approximately 30 minutes. Sprinkle flour on your bench and along the rolling pin. Then take the dough and roll out to the desired thickness and size. Lightly grease a round or square tray (I used a pizza tray which has holes in it to make a crispy base). Lightly grease the top of the rolled out dough and place on tray. Then sprinkle with rosemary and herb salt. If you don't have this salt which I HIGHLY RECOMMEND you buy because it is incredibly delicious you can finely chop 1 clove of garlic and sprinkle 1 tablespoon dry parsley and thyme. With a fork place holes in a few places on top of the dough so you don't get air bubbles when it rises. Place focaccia bread in oven and bake for 20 - 30 minutes until golden brown on top. Best eaten fresh out of the oven when the focaccia bread smells absolutely divine. I had a craving for pancakes last night but didn't have any honey or syrup of any kind. A quick look through the fridge found a bag of frozen blueberries. Then a quick Google search found a great Nigella recipe for Blueberry Sauce and I was in business. The homemade pancakes recipe is from Jamie Oliver. I love it because it is such a simple, basic pancake recipe and the Nigella Blueberry Sauce recipe is just as easy. You will be enjoying this delicious treat in 30 minutes. Whisk until combined. Do not overbeat as the pancakes will come out tough. Heat up a fry pan on medium heat and add milk free margarine. Next place enough batter in the frypan to get the size of pancake you want. Wait until bubbles form on the surface before turning pancake over. Repeat until you cook the amount of pancakes you wish. Place all ingredients in a small saucepan and bring to the boil. Turn down heat and simmer for about 5-8 minutes until mixture thickens into a sauce. Plate up pancakes and pour blueberry sauce over the top. 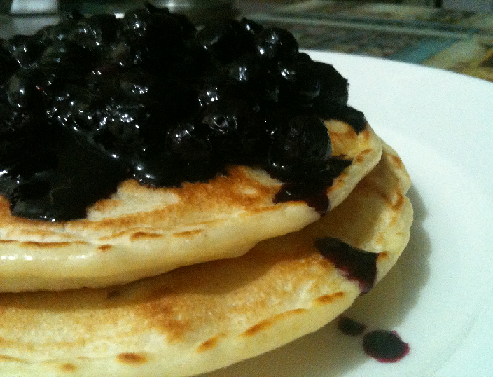 See how easy that pancake recipe was to make and the blueberry sauce recipe too! 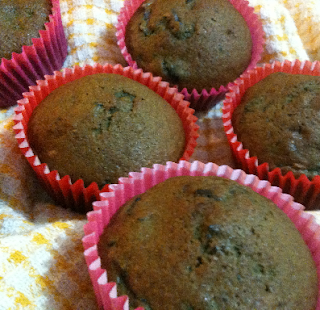 This is one of the best blueberry muffins recipe I have found in a while. It is from Marian Keyes Saved by Cake Cookbook. In her book the recipe is called Sweet and Simple Strawberry Cupcakes but strawberries are not in season so I used frozen blueberries. This is a wonderful light and fluffy blueberry muffins recipe that is milk free. I only made 6 as I wanted them for a snack. They are quick and easy to make and not much washing up afterwards. It really is the perfect recipe. Preheat oven to 180 degrees and line a 6 hole cupcake tray with paper cases. Mash the blueberries a little. Beat the oil, sugar and eggs together until well combined. Add the blueberries sift in the flour and bicarbonate of soda and fold through. Pour the batter into the cases and bake for 20 minutes. You can sift a little caster sugar over the top or butter with milk free margarine and drizzle honey to taste. I found this Drunk Chicken recipe in the paper and comes from some book or other but I didn't cut that bit out so I don't remember. It is suppose to be a Mexican dish called Chicken in Wine but I prefer to call it Drunk Chicken. Sprinkle chicken pieces with salt and pepper. Heat oil in a large saucepan and fry the chicken until browned. 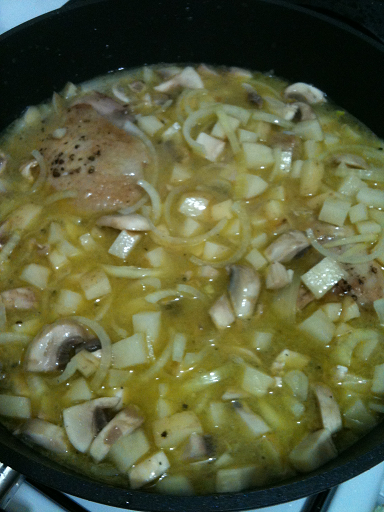 Add onions, wine, water stock cubes, bay leaves, potatoes and button mushrooms. Cook slowly for 25 minutes if you are using only the chicken breast. Cook for 50 – 60 minutes if using chicken thighs and other pieces of chicken. 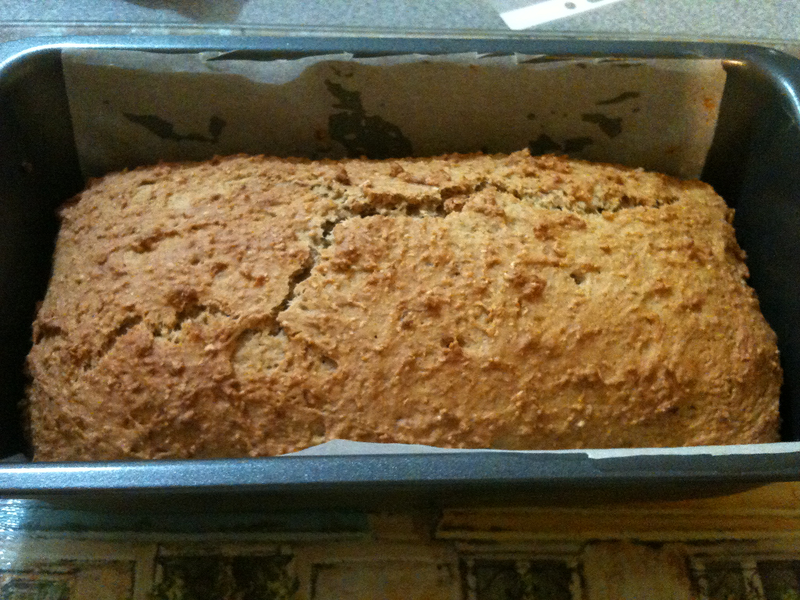 I can't remember where I found this easy banana bread recipe but it is a very healthy banana bread recipe. Looks like a regular bread loaf, smells divine and tastes even better. I love eating bread fresh out of the oven with lots of milk free margarine spread on it and honey drizzled on top, yum! Preheat the oven to 160°C and grease and line a loaf pan with baking paper. Sift flour into a bowl and then scoup in the whoelemal flakes. Stir in sugar and cinnamon. Add the eggs, vanilla and banana and stir until everything is well combined. Spread mixture into prepared pan. Bake the homemade banan bread for 45-50 minutes or until a skewer inserted in the centre comes out clean. Cool in the pan then turn the banana bread out onto a wire rack to cool completely. 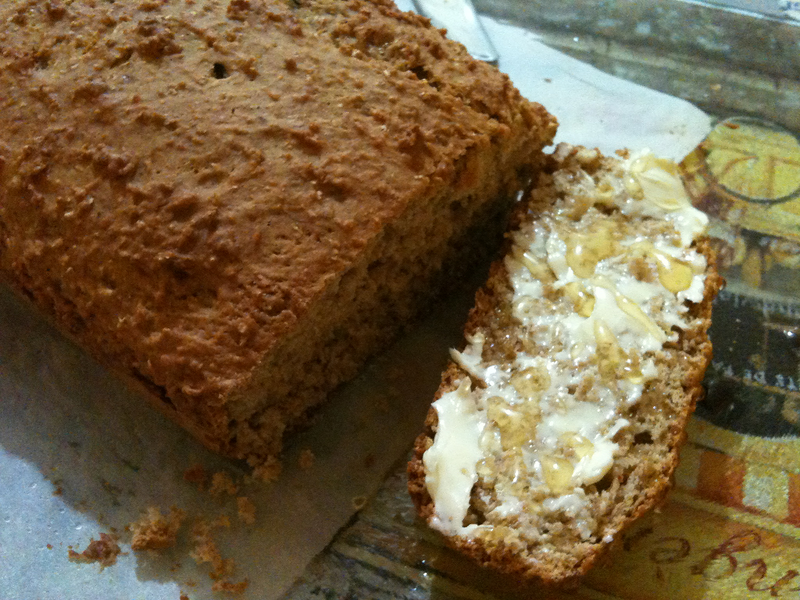 Slice the homemade banana bread and serve with milk free margarine and honey drizzled on top.